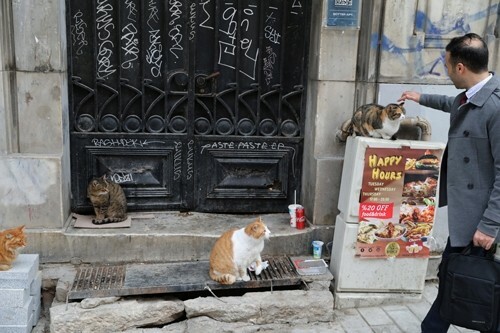 In Istanbul's narrow backstreets, cats perch on rooftops and window sills, crouch on doorsteps and rest on nearly every corner. 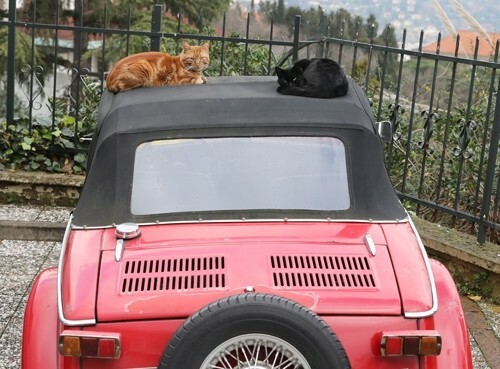 Whether lounging in sunlight, grooming themselves or scampering into shops in search of food, cats have become an inseparable part of neighborhood life in Europe's biggest city. They are so ubiquitous that no one bats an eye at a cat padding across the lobby of a high-rise office building, or when one curls up to sleep on a nearby barstool. Shop owners and locals often know their neighborhood cats by name and will tell tales about them, as if chatting about a friend. 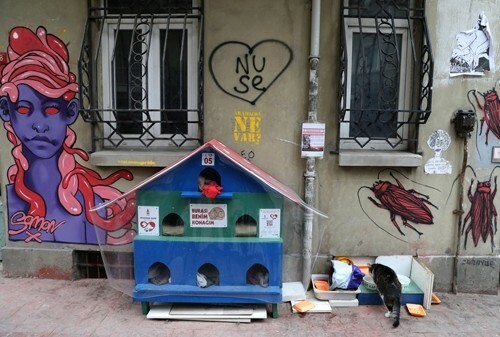 Some cat-loving Istanbulites buy little feline houses to keep their furry neighbors warm on cold nights, taking advantage of the discount on cat supplies at pet stores during the winter months. Some even bring cats home on the coldest nights. "Money is not an issue to some people when it comes to cats," said Ozan, a pet shop employee. "They take in cats with broken legs, blind ones or ones with stomach problems and bring them to the clinic. When they see that they are healed, they let them live on the street again." 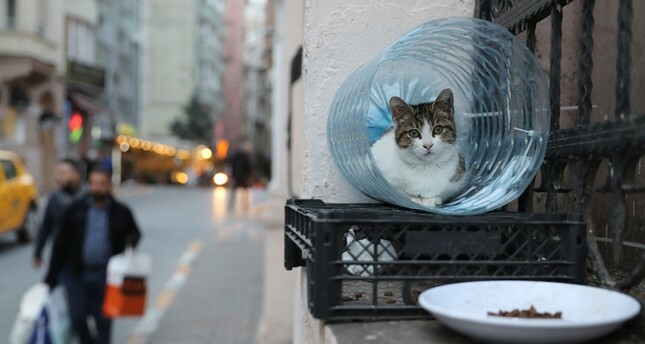 In the hip district of Cihangir, where the streets are lined with such little cat shelters, it is not uncommon for felines to take the last available seats in crowded bars, leaving adoring customers to stand by, petting them, as they awake from yet another nap. Hairdresser Esra sits outside the salon where she works, tending to two cats in her free time. She said that looking after local animals at a nearby park helped her through tough times. "I started petting dogs and cats there and buying food and feeding them," she said. "Then I saw it really helped me." Nor is it unusual to see cats hopping into the laps of restaurant patrons, hoping for a comfortable spot to rest - and a chance to nab a scrap of food. Necati, who makes his living collecting paper for recycling, steams chicken every morning that he hangs from the side of his cart. As he wends his way through Istanbul, he feeds strays. 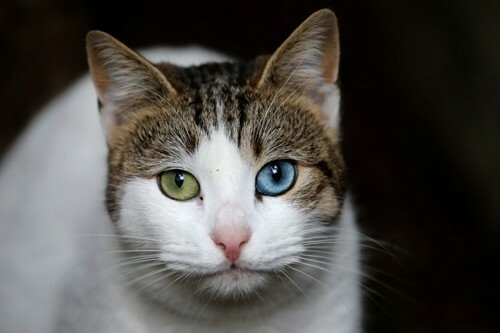 Cats are sacred, he said, telling the story of a cat who protected the Prophet Muhammad from a deadly snake while he was praying. "One should love cats, not people," he said. "People are ungrateful."